LATEST UPDATE dated 15.04.2019 : Big News !! UP Board has increased Fee of Scrutiny For Class 10th & 12th. Fee for Practicals has also increased Now. Students now have to pay Fee Rs. 500/- for Scrutiny of Copies. Read full news from Image below…..
Good News !! UP Board 10th 12th Result 2019 may announce in Last Week April, 2019. Process of uploading Roll No. is in last stage. 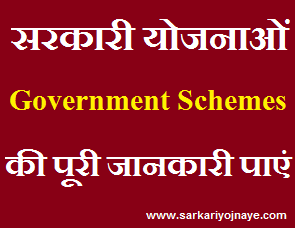 Read full news of UP Board 10th 12th Result 2019 from link given below…. UP Board Compartment & Improvement Online Application Dates 2019 :UP Board Compartment/ Improvement Exam Online Applications will start in May, 2019. Candidates can apply upto July, 2019. Students can apply for Compartment/ Improvement with help of their School/ Colleges. UPMSP has activated Grievance Cell to solve students problem regarding UP Board Result, Marksheet Information etc. This Cell will be activated from May to June, 2019. Get Contact Numbers from the Image given below……..
Board of High School and Intermediate Education Uttar Pradesh, Allahabad will conduct 10th Class (High School) Exam from 07 to 28 February 2019 and 12th Class (Intermediate) Examination 2018 from 07 February to 02 March to, 2019. More than 65 Lac Candidates appeared in Board Exams. UP Board Result 2019 for High School & Intermediate Exam has been announced Now on Official website. Students can check their Result by entering their details of Roll No. Students who are not satisfied with their performance or marks in Board Exams. They can fill scrutiny Form for Re Evaluation of Copies. Full Information of UP Board Scrutiny Form 2018 is provided in this Article. UP Board 10th Compartment Exam 2019 : Compartment Exam for High School Students will conduct in the month of July, 2019. This Compartment exam will conduct for those students who were failed in two subjects so candidates can be passed by clearing one exam. UP Board Scrutiny New Application Fee 2019 : Students has to Pay Application Fee Rs. 500 Per question paper & Rs. 500/- for Practical Exam Surveillance. Students can pay Fee by Demand Draft. DD will be in Favour of “Upper Secretary, Madhyamik Education Parishad, Regional Office, Allahabad”. Students has to submit Scrutiny Application Form before Last Date. Incomplete Application Form will not accepted. Students have to attach Copies of their Original Certificates or Internet Copy of Certificate along with application form. Students has to mention High School & Intermediate on Scrutiny Application Form. Candidates whose result is incomplete they can also sent application form. Scrutiny Application Form will not accepted without application fee. So Students need to attach DD along with application form. Students who want Information of their Scrutiny Result on their Address, need to Attach Envelope mentioning their Permanent Address along with Registry Postal Stamp. Students must remember that Scrutiny Application Form will be sent by Registry/ Speed Post Only. Direct Application Submission or by courier will not accepted. Students can Directly Download UP Board Scrutiny Form 2019 from this Page itself, Direct Link to Download Scrutiny Application form 2018 is available now. Students can also get their Respective UP Board 10th 12th Scrutiny Application Form 2018 from their registered Schools/ College. Aspirants having queries related to UP Board Scrutiny Form 2018 for High School & Intermediate can comment us through the comment box. We will try to solve your queries.